In my frantic hurry to get our house clean before we had guests and before the baby comes... I reorganized our kitchen. Besides moving all our tupperware containers around and storing some of our rarely used items above the fridge, I decided that my measuring cups and spoons needed a better home. They used to be randomly thrown into a large bowl in the corner cabinet. Not the easiest to search through a huge bowl for one tiny measuring spoon. 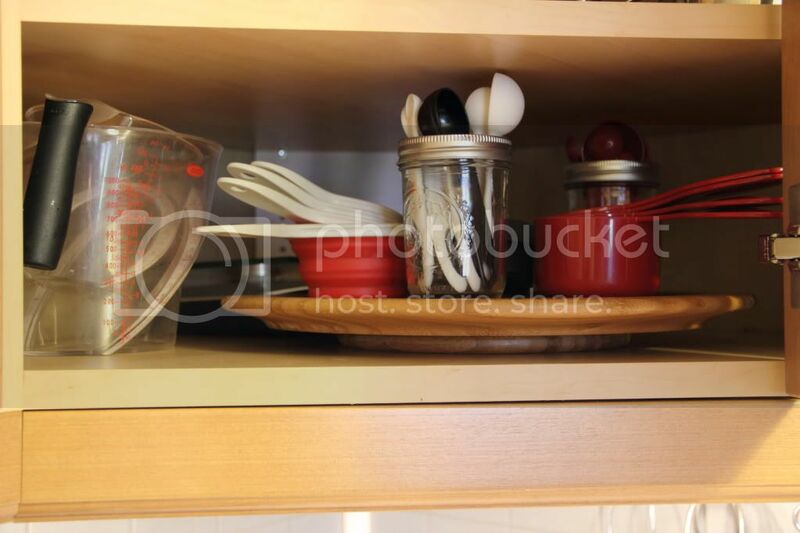 Enter a few unused items from the kitchen... A lazy susan and a couple bell jars. 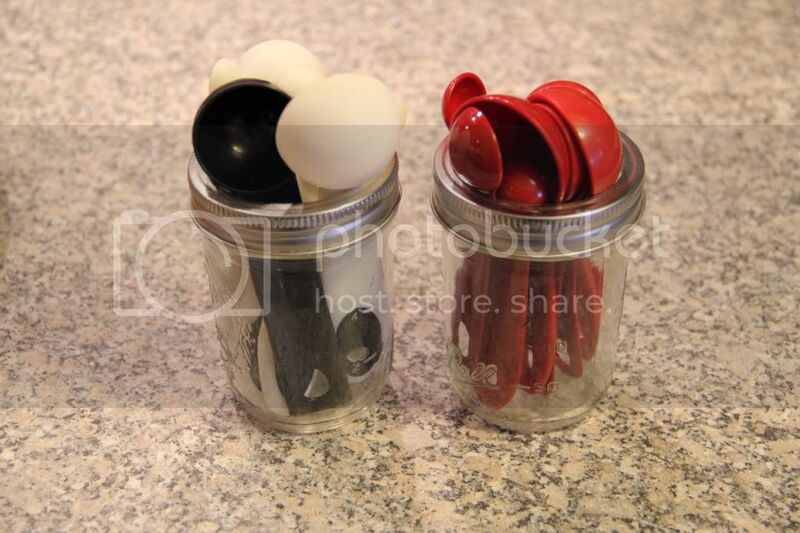 I was able to fit three full sets of measuring spoons into the two jars I found. 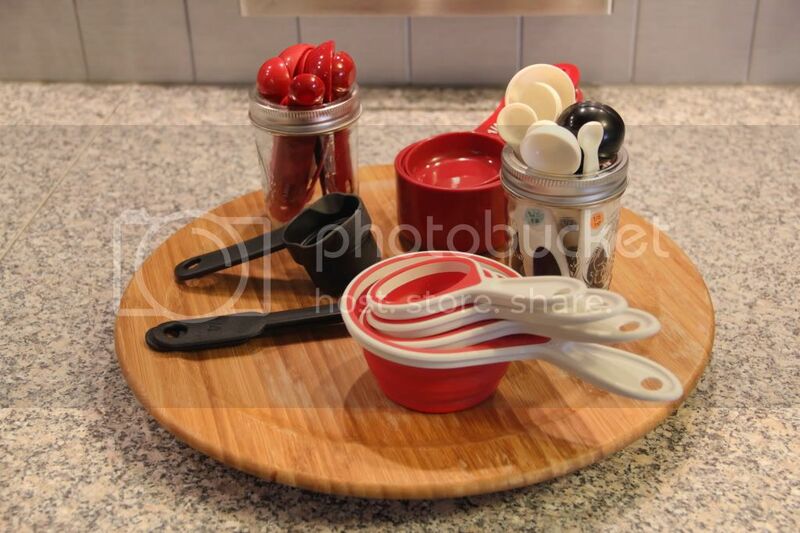 The measuring cups are stack nicely and because they all fit onto a lazy susan, all the measuring cups and spoons are within reach. My "nice" set of measuring spoons and cups hang next to my "nice" set of spoons. I also paired down our spice rack to only one rack. The rest of the spices I do not use that often and are now stored above microwave. Yeah, the kitchen does not look that different or even cleaner. But it is. Just check the inside of my stove! 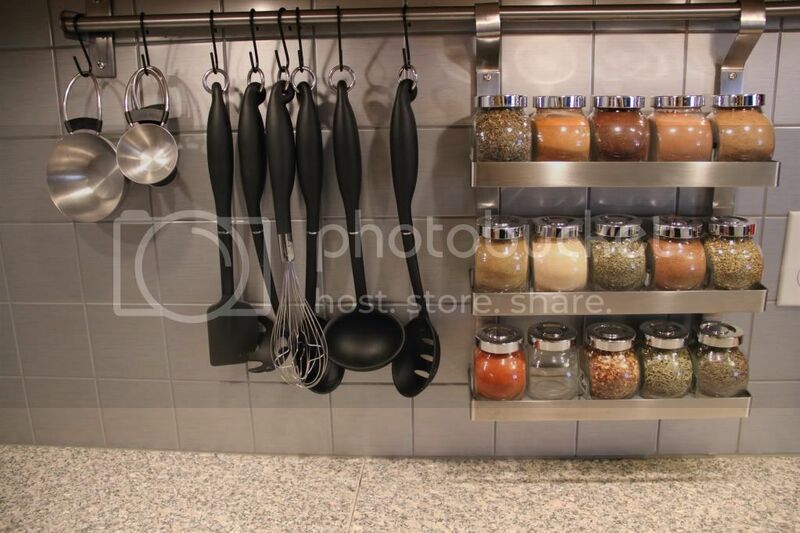 I love how you stored your measuring spoons, what a great idea! 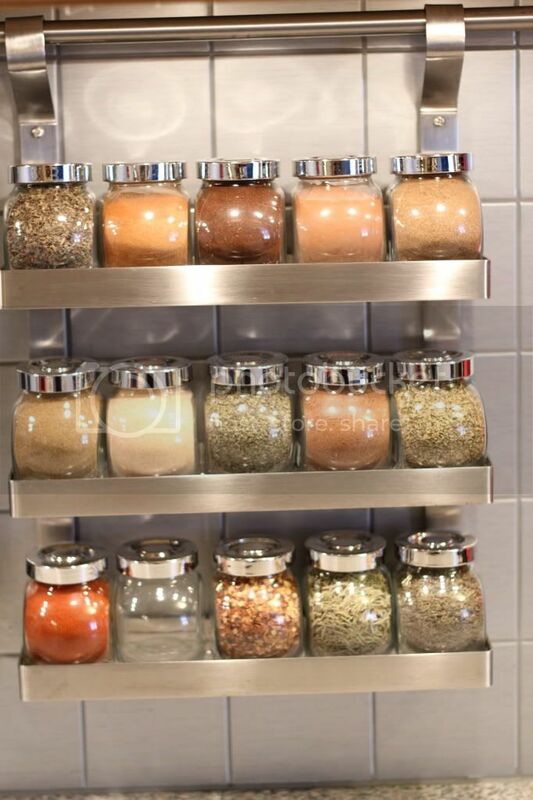 Where did you find that amazing spice rack?!?! I LOVE it! Not the easiest to search through a huge bowl for one tiny measuring spoon.